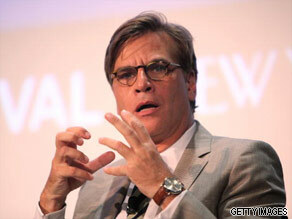 Aaron Sorkin is one of Hollywood's most celebrated and critically acclaimed screenwriters and producers. The man behind some of the world's most ubiquitous political dramas including "A Few Good Men" and the "American President", Sorkin is also well known for his work as the creator of the "West Wing." Sorkin who attended Syracuse University in 1979, initially wanted to train and work as an actor, but after an early setback, Sorkin decided that screenwriting would be the path to take. After a few off broadway plays, Sorkin's first big hit was with a military drama called "A Few Good Man" which debuted to rave reviews on Broadway. Sorkin went on to sell the film rights to the play and in 1992 the story was turned into a Hollywood blockbuster starring Tom Cruise and Jack Nicholson. But perhaps Sorkin's biggest hit was with the television drama called the "West Wing" which chronicled the life of a fictional U.S. president. The show ran from 1999 to 2006 and won a total of 27 Emmy awards and three Golden Globes. In 2006, Sorkin returned to television with the NBC series "Studio 60 on the Sunset Strip." Despite receiving critical praise, the show was only on air for one season. Today though, Sorkin is out with a highly anticipated film called the "Social Network" which tracks the early beginnings of the billion dollar company, Facebook. The film has already earned high praise and is being touted as an early Oscar contender. The movie also opened at number one in the U.S. box office this past weekend. Whether its steak tartar, spaghetti bolognese or a grilled cheese sandwich - your favorite meal can be as extravagant or as bland as you want. 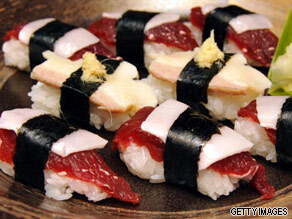 Does the Japanese dish of sushi interest you? The age old question of what you would want as your last meal on earth has been discussed in movies, books and even amongst inmates on death row. Most countries around the world can lay claim to at least one or two national dishes, but whether your geographic location influences your personal tastes is another story. Americans may say they are home to the apple pie and cheeseburger while people in Canada call the beaver tail - a pastry like dessert - their national dish. In South America, Brazilians have their version of BBQ meat called churrasco and Peruvians are brilliant using a grain called quinoa. 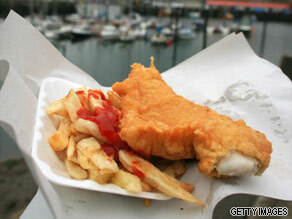 Like the English meal of fish and chips? Travelling east to Europe, the English are famed for their fish and chips and the Italians are infamous for everything pasta related. In Africa, the corn dish fufu is generally regarded as a staple and any goat dish is also very popular in the region. Of course, Indian cuisine is synonymous with curry dishes and for its use of dozens of fragrant spices. In Asia, Japanese food can range from sushi to vegetable tempura and Koreans are famous for their national dish, pickled cabbage called kimchi. As we can see, cuisine around the globe can be as different as apples and oranges, but this is where we want you to come in. We want to know what your favorite meal is - whether it's from Africa, Asia, the Americas, Europe, Australia or any mix in between. Maybe it's something you've had once and will always remember or is it something you eat every day? Please leave your comments below and if you have some photos you want to share, please e-mail us on the address above.